The President of Romania Klaus Iohannis and the Romanian Foreign Ministry did not hesitate to express the country's position with respect to the Western operation in Syria, this past weekend, initiated a week after the chemical attack in Douma that Damascus is thought to have orchestrated. 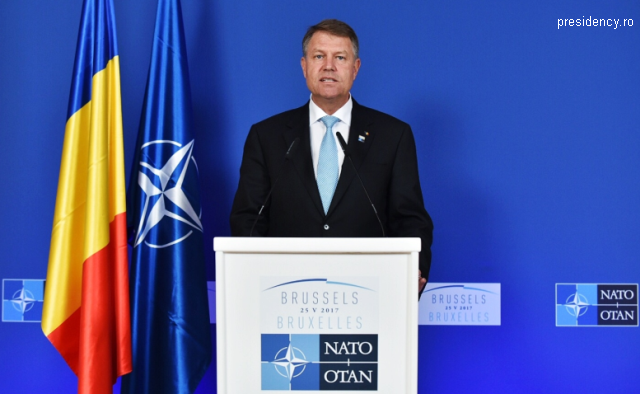 Shortly after the joint operation of the USA, UK and France, President Iohannis reiterated Romania's solidarity with the actions of its strategic partners. Romania once again condemns the use of chemical weapons in Syria, which, the President said, is unacceptable. In turn, the Foreign Ministry describes the West's move as a firm reaction to the atrocities that made so many victims among civilians in Douma, who are already struggling with the devastation caused by a war that must be ended as soon as possible. Bucharest reiterates the need for a solution to the conflict in Syria, which caused suffering among civilians, and says it is vital for all parties to continue to support actively the UN actions designed to put an end to this crisis. The Foreign Ministry also argues that the chemical attack must be investigated immediately, independently and impartially, and requests that the perpetrators be held liable. The French Defence Minister Florence Parly has stated that the targets of the operation in Damascus were the main research centre and two production centres that are part of Bashar al-Assad regime's clandestine chemical weapons programme. After the operation, the US President Donald Trump used the phrase "mission accomplished", while Washington's representative at the UN, Nikki Haley, told an emergency meeting of the Security Council that the US was ready for new strikes, in the event of another chemical attack in Syria. In turn, British PM Theresa May said there had been no alternatives to a military strike, and described the Western operation as limited and targeted. Meanwhile, international experts working with the Organisation for the Prohibition of Chemical Weapons Sunday has initiated an investigation into the presumed chemical attack in Douma, which killed scores of people. Fieldwork will likely be difficult, as investigators are expected to conduct their research, a week after the events, in an area under the control of Damascus authorities and of the Russian military police and devastated by a 5-year long siege.